At 19, I founded a software company with $119 in my bank account. Five years later, it was valued at $10.5 million. I don't consider myself exceptionally brilliant. I just realized something few people know: You don't need lots of money or an original idea to get really rich. Now, I make more than $100,000 in passive income every month, while also running my own private equity firm and hosting The Top Entrepreneurs podcast, which has more than 10 million downloads. 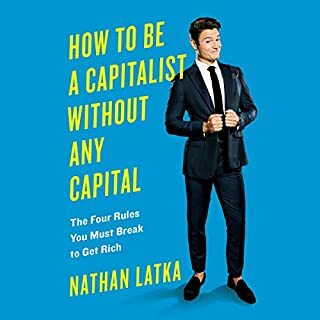 This book will reveal how I went from college dropout to member of the New Rich. You've seen the ads: Squatty Potty, Chatbooks, Purple, Poo~Pourri (and more). You've laughed along with millions of others. And you've learned new euphemisms for poop, which can come in handy if you're ever apparated back to junior high. But who creates all these ads? Glad you asked. It's Harmon Brothers. 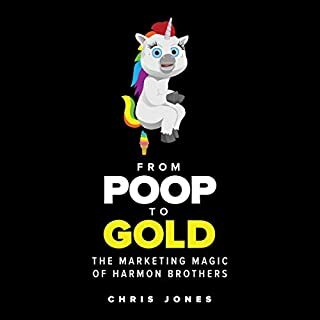 From Poop to Gold takes you behind the scenes of some of the most successful video ads in internet history - and the lessons learned along the way. Compete in the digital world with pragmatic strategies for success. 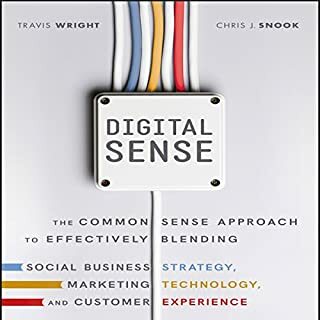 Digital Sense provides a complete playbook for organizations seeking a more engaged customer experience strategy. By reorganizing sales and marketing to compete in today's digital-first, omni-channel environment, you gain newfound talent and knowledge from the resources already at hand. Statesman, scientist, entrepreneur, inventor. Benjamin Franklin is synonymous with American ingenuity and achievement. It's no coincidence that his face is on the 100 dollar bill. This compilation, assembled by Charles Conrad, presents Ben Franklin's essential wisdom on money and success. It includes his three classic essays: "The Way to Wealth", "Advice to a Young Worker", and "The Path of Virtue". Entrepreneurship is a roller coaster of trial and error, laughter and tears, confusion and triumph. In WTF?! (Willing to Fail), serial entrepreneur Brian Scudamore takes you on an adventure that will convince you once and for all that you have exactly what it takes to succeed. 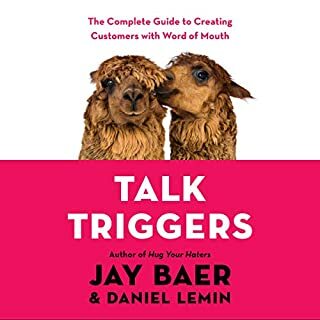 With engaging stories from his 30-plus years of failing upward, his audiobook is full of lessons you can apply to your own endeavors developing a clear vision, creating an awesome culture, finding gratitude in challenging times, and using setbacks to change your business for the better. According to the Small Business Administration, 90% of service businesses will fail within the first five years. They fail not because they don't offer great services and products, but because the owners are extremely uncomfortable with traditional marketing and sales. The result is a frustrated, isolated, and overwhelmed business owner who does not know there is an entirely different, highly successful approach to marketing and sales available—and it's laid out in Book Yourself Solid. This book will help you flourish. With this unprecedented promise, internationally esteemed psychologist Martin Seligman begins Flourish, his first book in 10 years - and the first to present his dynamic new concept of what well-being really is. Traditionally, the goal of psychology has been to relieve human suffering, but the goal of the Positive Psychology movement, which Dr. Seligman has led for 15 years, is different - it’s about actually raising the bar for the human condition. I studied over 200 of the best TED talks. I broke each TED talk down in terms of structure, message, and delivery. Here's what I discovered: After studying over 200 TED talks, the one commonality among all the great TED talks is that they contain stories. Discover the 23 storytelling secrets of the best TED talks! In this short, but powerful, guide you're going to learn how to use stories to make your presentations engaging and entertaining. New York Times best-selling author and social media entrepreneur Joel Comm reveals the secret to finding success in business: the pursuit of pleasure. The demands of work and the fast-moving pace of technology wear heavily on employees and entrepreneurs alike. The "hustle and grind" lifestyle that most of us have bought into is simply unsustainable, leading to physical ailments, emotional burnout, and a darkness in the soul. Joel Comm has found a better way. 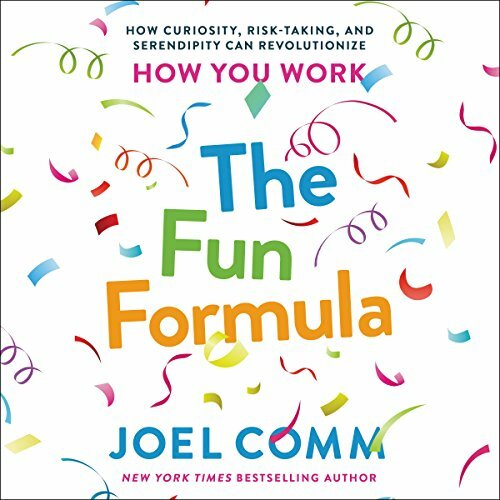 In The Fun Formula, Comm demonstrates that the best path to success - in work and in life - is to focus on our passions, curiosity, and the things that bring us great pleasure. Doing so not only leads to more dramatic results, but to a more fulfilling life. 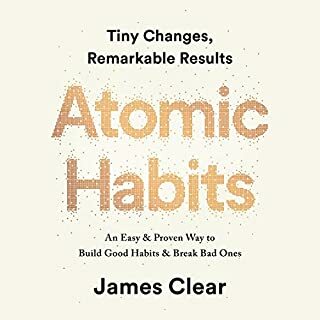 Through stories and anecdotes from Comm’s life and those of others, famous and not, The Fun Formula reveals how subtle changes in our thinking and routine can enable us to design the life we truly desire: one of significance and joy. 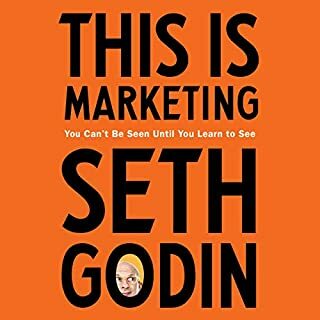 Awesome reminder for all of us Entrepreneurs and..
Got the book after I saw several recommendations from social media. Well, Joel Comm's kinda like a guru when it comes to the world of online entrepreneurship so I gave it a go. And this book definitely delivered plus the awesome bonuses too. It over-delivered!!! WHY am I in this world in the first place. So, if you don't have any extra credits yet, I encourage you to buy a couple and download this book. Definitely, something that would add more productivity to you your business and at the same time make the wife and kids love you more. So the headline should read: Awesome reminder for all of us Entrepreneurs and would be entrepreneurs. P.S. You don't have to make a buck first before you call yourself an entrepreneur.